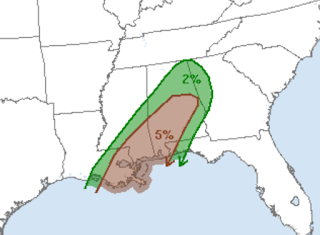 The brown (5%) area has a significant risk a tornado today. 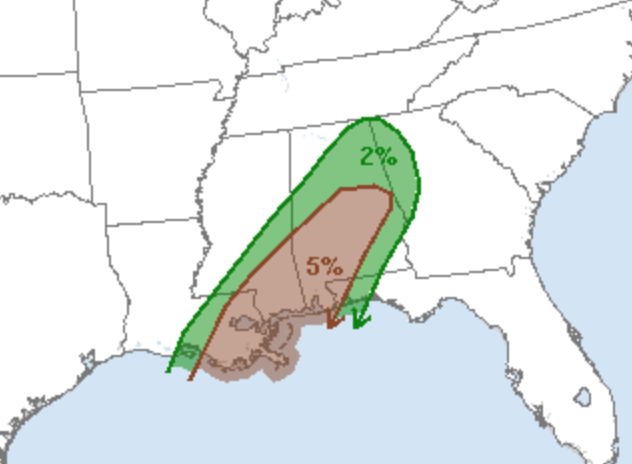 That includes New Orleans, Gulfport and Mobile as well as points inland. Please keep an eye on the weather in this region today.